This entry was posted on June 11, 2016 at 7:57 am and is filed under Europe, European Union, Politics, UK. You can follow any responses to this entry through the RSS 2.0 feed. Both comments and pings are currently closed. Interesting, but the free movement of genuine labour also needs to be limited to economic and environmental sustainabilty. 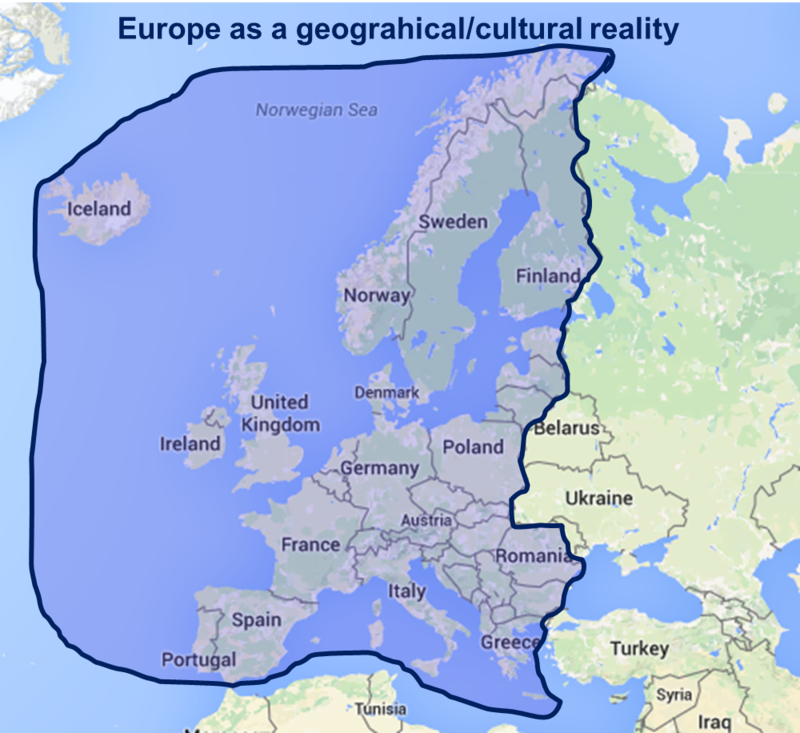 As for the ‘cultural’ reality, I’d redraw the eastern limit of that at Stettin to Trieste.